Health Screening Now is a trading name of Diagnostic Healthcare Ltd. Established in 2004 and based in Manchester, Diagnostic Healthcare has expanded rapidly and is now one of the largest privately owned providers of healthcare services to both the NHS and private patients in the North West of England. DHC specialises in the provision of GP Services, Ultrasound scans, Health Screening, Bone Density, and MRI examinations. Dr Bani graduated from Guy’s & St. Thomas’s Hospitals Medical School, London, in 1997. After gaining vast experience in both rural and urban NHS practices providing a full range of general practice services, Dr Bani began work as a private GP in 2010. This provided the opportunity to develop new areas of work such as health screening and medical examinations for a variety of client requirements. ‘I believe in the importance of establishing a trusting relationship with patients, putting them at ease when discussing concerns about their health and involving them in their management plan. I offer the highest quality, evidence based medicine, which is patient focused and unhurried. 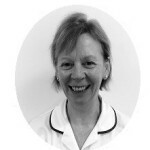 Ena is a NMC registered senior nurse. With over 25 years of experience as a practice nurse, Ena has joined Diagnostic company to develop the health screening examinations and offer a choice of different packages to the patients. Ena has a wealth of experience in Health screening, Health promotions and lifestyle advise, Chronic disease management, travel advice and vaccinations. 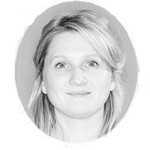 Mrs. Anna Whelan is Diagnostic Healthcare Patient Services Manager. Together with her deputies and her hard working team of patient coordinators, they support our clinical teams, patients, referring clinicians and all our clinic locations from a main hub that is located in Manchester. Information Technology plays a vital role in delivering efficient services so the Admin Support Team use one of the most advanced patient management systems available. Regularly reviewed security systems ensure all data is recorded correctly and held securely in accordance with the latest guidelines and legislation. The helplines are open between 8am and 5:30pm and you can be assured that whoever takes your call will be able to advise or help with any query about the Health screening services available in the strictest confidence. At out of normal office hours we also host an answering service and returning calls within 1 hour during core hours, or the following morning for evening and weekend calls.